The Microsoft Monitoring Agent that was released on September 24th, 2013 now incorporates functionality that was previously available with the IntelliTrace Collector for Visual Studio, System Center Operations Manager Agent and .NET Application Performance Monitoring. To analyze data collected you must have Visual Studio Ultimate 2013 or Visual Studio Ultimate 2012 Update 4. 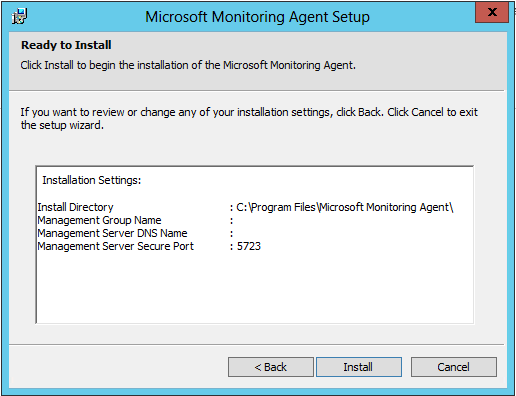 The Microsoft Monitoring Agent (MMA) when used with System Center 2012 R2 Operations Manager provides real-time alerting, operational reporting and centralized management of configuration. If you don’t have System Center deployed you can still use it as a .NET Application Performance Monitoring (APM) solution in less than five minutes. The next dialog should look something like this (provided you aren’t connecting the agent to System Center). 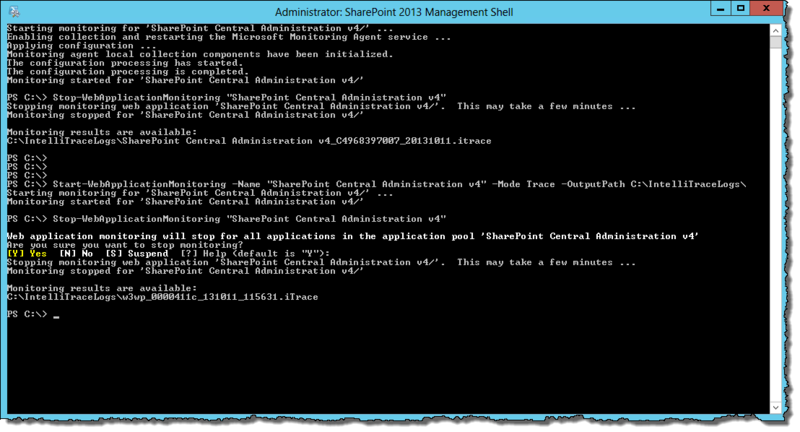 Once the install is finished you can launch Windows PowerShell or PowerShell ISE as Administrator, if you’re using PowerShell v2.0 you must manually import the monitoring module from this location “C:\Program Files\Microsoft Monitoring Agent\Agent\PowerShell\Microsoft.MonitoringAgent.PowerShell\Microsoft.MonitoringAgent.PowerShell.dll”. If you’re using PowerShell v3.0 the module is already imported for you. You can use local monitoring and .NET Application Performance Monitoring in Operations Manager at the same time, just keep in mind that the PowerShell commands have higher priority than the APM monitoring configuration and will override them during local collection. Here are two examples I did using the monitoring modes Trace and Monitor. 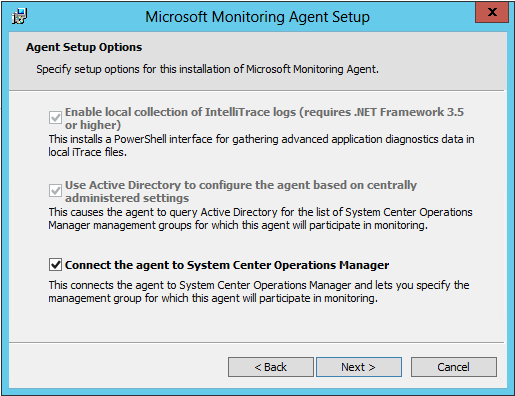 Trace allows you to use the Microsoft Monitoring Agent like you would have used IntelliTrace Collector and use collection plans, Monitor uses the default monitoring collection plan that is pre-configured with MMA. The iTrace files will appear in the OutputPath when monitoring is stopped after issuing the Stop-WebApplicationMonitoring command or when the CheckPoint-WebApplicationMonitoring command issued. You can use Visual Studio Ultimate to open the iTrace files.